Have you ever heard the phrase in the Bible, “ The fear of the Lord is the beginning of wisdom?” Today on Making Your Life Count, Liz Curtis Higgs learned about that reverential fear from reading the Book of Proverbs. When we tell others about the joy of walking with Jesus we want to share all the positive things, but what about a painful story with no happy ending in sight? Today on Making Your Life Count, Chad Veach says he has found that God uses those stories too as people search for hope in their lives. If you want some adventure in your daily life, just look for opportunities to share Jesus Christ with people. Today on Making Your Life Count, pastor Bill Warren says the library, of all places, is where he’s been able to share his faith. You know, it takes courage to step out of your comfort zone. But it’s amazing to see what God can do in the process when you trust Him. Today on Making Your Life Count, Japhia Life says he has seen God work in powerful ways. On Making Your Life Count, we talk a lot about sharing our faith with others. But, how are we able to do that? Mark Stewart shares that the key is the power of the Holy Spirit. For Vicki Courtney, her own relationship with God compels her to share Him with everyone she meets. Vicki explains what she means on today's Making Your Life Count. Musician Russ Lee has seen how God can use music in amazing ways to connect directly with people’s hearts. Today on Making Your Life Count, Russ says music can be therapeutic in ways nothing else can be. Heisman trophy winner Tim Tebow says understanding your true value in Jesus Christ is life-changing. Today on Making Your Life Count, Tim talks about what that means. Kari Patterson says prayer does not come “naturally” to her, but she has learned how valuable it is. For Kari, talking to God has gradually become a priority in her life. 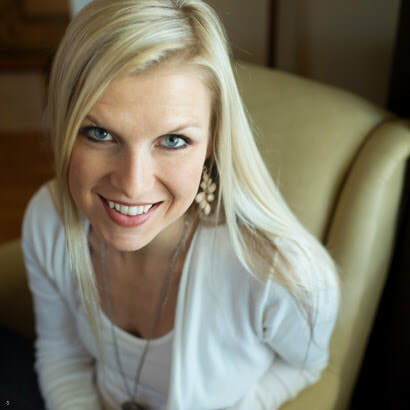 For Katie James, prayer has been a learning process. Today on Making Your Life Count, Katie shares how she’s grown in her relationship with God, through prayer. It’s amazing to think that Jesus Christ loves and cares for each one of us, deeply. And today on Making Your Life Count, Eric Bryant shares how in His earthly ministry, Jesus focused on caring for all people. John Eldredge knows suffering very well. But he also knows the restoring power that is found in Jesus Christ. On today’s Making Your Life Count, John opens up about his experience. When Joni Eareckson Tada recalls the diving accident that left her paralyzed at age 17, she knows it was these three things that made all the difference. She explains on today’s Making Your Life Count. Allan and Tricia Beeber know very well the challenges… and the joys that come from living with a family member who has autism. Allan shares some ways you can reach out to people with special needs. Growing as a believer in Christ takes time. Today on Making Your Life Count, Andy Mineo talks about how friends helped in that process. Christian recording artist Francesca Battistelli is amazed how God uses music to change people’s lives. Francesca shares one woman's story. No matter where you live or work, you can be a missionary in whatever situation God places you in. Kimberly White Rodgers gives her thoughts on today's Making Your Life Count. Understanding God’s love and forgiveness is really powerful. Well, John Bevere knows that forgiving people, regardless of who they are or what they have done, is crucial. His own experience of having to forgive someone in the service of ministry changed his life. Being available to minister to people… there are so many ways to do that these days. Drew Dickens explains on today’s Making Your Life Count. It may sound strange, but comedian Chonda Pierce is well acquainted with grief. Today on Making Your Life Count, Chonda describes how she has learned to get through difficult times. In life, unexpected circumstances happen, don’t they. But even so, God is there. Today on Making Your Life Count, Barb Roose shares how she and her sister coped with the loss of their father. We all face doubt and uncertainty sometimes, don’t we? Today on Making Your Life Count, musician Jason Roy says if you have doubts, you are not alone. Others struggle through those moments too. Ben Malcolmson has learned to expect the unexpected. And when Ben joined the USC walk-on football tryouts to write an article about his experience, he was shocked when he was chosen for the team. He shares his experience today on Making Your Life Count. Joyce Smith firmly believes that God has an amazing plan for each one of us. And when her son John fell through the ice and was on the verge of death, Joyce prayed for her son, and for the plan that God has for him… and God came through. Listen as she shares her journey today on Making Your Life Count. Having the boldness to be a light. It could be as easy as allowing God to use you. On today’s Making Your Life Count, Shane Stanford explains. You know, relationships in life are important. And as Jason Benham says, a relationship with the Lord is vital. Jason shares just what he means by that. You know, God gives us all opportunities every day to make a difference in people’s lives. We love to highlight stories of real people making their lives count. Well, John Whitehouse knows that being aware of people’s needs is a great way to shine a light. You know, the words we speak really are powerful, aren’t they? On today’s Making Your Life Count, Christin Ditchfield shares how God can use our words and our actions to change people’s lives. VeggieTales creator Mike Nawrocki knows the important role story can play in communicating truth to kids. He’s our guest on today’s Making Your Life Count. Do you ever wonder what direction God has for you in life? Well, musician Freddy Washington knew God’s call for him in his life since he was very young. And now, he likes to give encouragement to people who are still searching. He’s our guest on today’s Making Your Life Count. Ever thought about how you can reach your peers with Jesus Christ? Well today on Making Your Life Count, Jeremy Story shares how several students from Texas did just that. You know, it’s sometimes easy to feel like you’re able to do things in your own strength. Musician Tripp Lee has learned that relying on God, in prayer, is far better that anything he could attempt to accomplish on his own.